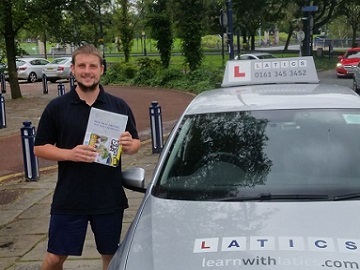 Mat’s been part of the Latics team since 2006 and is a very in-demand instructor. He’s a Grade 5 instructor (6 is the highest) and really takes pride in his work. You will find him to be a calming influence and full of encouragement to help you achieve your goals! Dream car: KITT from Knight Rider – who wouldn’t want a talking car?! Favourite quote: What goes around comes around… and when it does it will bite you on the bum! If I won the lottery, I would… teach for free as I love what I do! Seeing the happiness on my pupils’ faces when they pass is very addictive. 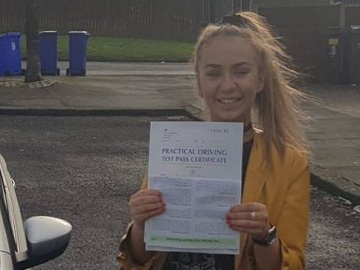 Mat gives driving lessons in Failsworth, Ashton-under-Lyne, Bardsley, Blackley, Chadderton, Droylsden, Fitton Hill, Hathershaw, Hollins, Hollinwood, Limeside, Manchester City Centre, Middleton, Miles Platting, Moston, Newton Heath, Oldham and Royton. 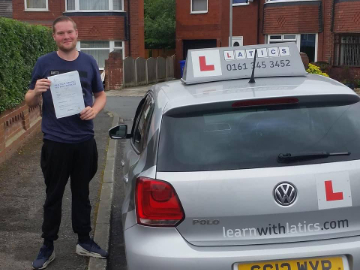 “I just wanted to leave a review for Mat Slack who has been unbelievable in teaching me to drive and helping me pass my test. All the way through it from the very first lesson right until the last he has been so helpful, and I have learned so much from him. He was very professional in his approach and made sure all aspects of driving were covered even if they weren’t needed in the test but what I loved most was that he made the lessons enjoyable at the same time. I would definitely recommend Mat (and I already have done) to anyone wanting to start learning to drive. 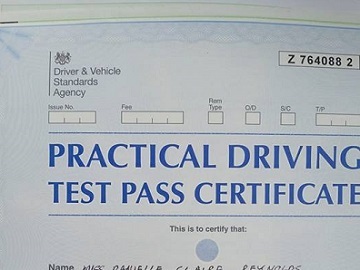 Even on my pass plus when I already thought I was comfortable on the motorway he taught me so much and made me feel much more confident in myself and made me a better driver. “Mat has a lot of driving experience and knowledge and delivered this to me in a calm but professional manner at all times. Mat has a lot of patience & will go over things until it sticks! He gave me the confidence & skills I needed to pass my test and to be a safe / happy driver and never to trust the public!! “He has plenty of patience and no matter what may go wrong, he is eager to help sort it out. Although I had a lack of confidence in myself, he helped me build up the courage and see that I was better than I gave myself credit for. The best aspect though, is Mat is one of the easiest people to get along with. I always felt at ease and not once did I feel awkward – even when he was in his “test instructor mode”. Mat doesn’t just teach you to pass the test, he teaches you life lessons to become a responsible driver. I recommend Mat 100%. 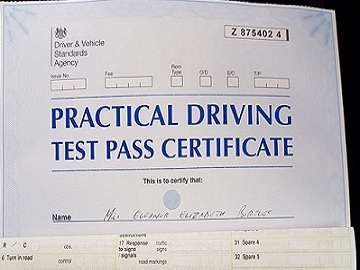 “I want to thank Latics for the support you gave me to get me though my driving test. I would also like to thank Matt Slack for helping me to become a more confident driver and help and support for passing my test. 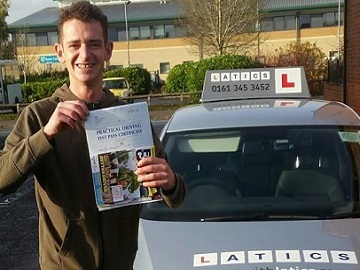 I would highly recommend Matt and Latics driving school to anyone who wants to learn to drive. Great result just 3 faults!! 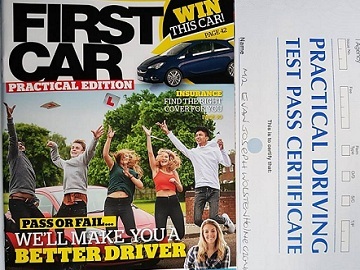 1st time pass 3 faults!